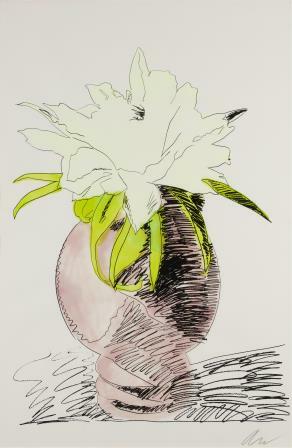 The exhibition Spring into Summer with Andy Warhol and Friends! takes an unusual approach to this most famous of Pop artists. Although we tend to associate Warhol’s work with artifice and mass production—think of his bold images of Marilyn Monroe and Campbell’s Soup cans—there is another side to the artist that is often overlooked, his interest in the natural, the real, and the intimate. Click here for exhibition programs. two large silkscreen portrait prints, Sachiko, 1977, gifts of the Frederick R. Weisman Art Foundation. Beyond these Bruce Museum treasures, significant loans will allow Spring into Summer with Andy Warhol and Friends! to offer an expanded view of Warhol’s aesthetic universe, including an important four-part painted portrait, never before exhibited in public, of Sachiko Goodman, along with the scores of polaroid studies that the artist made in preparation for the commission; and a fine pencil portrait by Warhol of Philip Johnson. 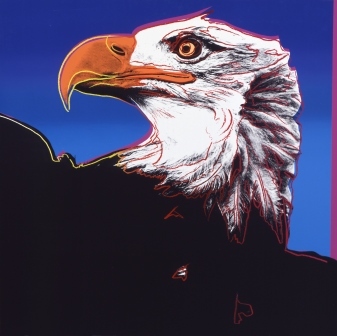 Beyond the human, Warhol’s silkscreen series of 1983, Endangered Species, offers ten “animal portraits” including a San Francisco Silverspot butterfly and an American Bald Eagle. Fortuitously, the great American realist painter Philip Pearlstein, Warhol’s undergraduate roommate, has kindly agreed to lend his surprisingly abstract rendition of an American Eagle (1949) to the exhibition as well. 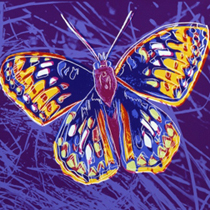 Finally, following the lead of Warhol’s ground-breaking exhibition of 1970, Raid the Icebox with Andy Warhol, in which the artist retrieved and put on display long-forgotten objects from the storerooms of the Rhode Island School of Design Museum, the Bruce’s own storerooms have been plundered for specimens from its historic natural science collection—butterflies, birds, and a few other creatures. 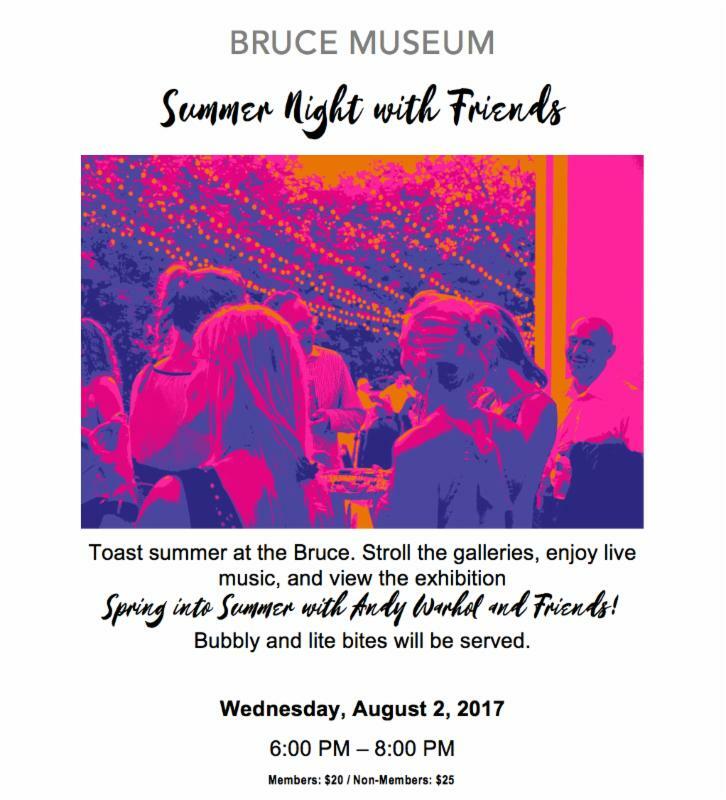 Come spend some time this summer at the Bruce Museum with Andy Warhol and friends! Spring into Summer with Andy Warhol and Friends is curated by Kenneth E. Silver, New York University Professor of Modern Art and Bruce Museum Adjunct Curator of Art, with the assistance of Courtney Long, Bruce Museum Zvi Grunberg Postdoctoral Fellow 2016-17. We are pleased to partner with Bank of America on the Museums on Us program. On the first full weekend of every month, admission to the Bruce is free for all Bank of American cardholders. Each cardholder gets one free general admission. 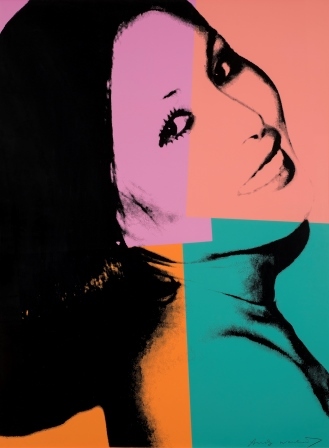 The changes wrought by Andy Warhol’s work on painting and art are well known. Less discussed is the impact on photography. Warhol played a crucial role in changing the climate for image making and helped usher in a photographic era of bad pictures of bad subjects. (It’s no coincidence that both Stephen Shore and William Eggleston, both pilloried for being pedestrian photographers, spent time at Warhol’s “factory.”) This lecture explores Warhol’s influence, direct and indirect, on photography since the 1970s. Lyle Rexer is the author of several books, including The Edge of Vision: The Rise of Abstraction in Photography (2009) and Photography’s Antiquarian Avant Garde: the New Wave in Old Processes (2002). In addition, he has published many catalogue essays and articles on art, architecture, and photography and contributed to such publications as The New York Times, Art in America, Aperture, BOMB, Parkett and DAMn. As a curator, he has organized exhibitions in the United States and internationally, most recently “The Edge of Vision,” a selection of contemporary abstract photography. He teaches at the School of Visual Arts in New York and is a columnist for Photograph magazine. Advance registration required. Free for Bruce members, $15 for non-members. At the door: $10 Bruce members, $25 non-members. Tickets will be on sale at this Eventbrite link until Monday, June 19, 2017. After Monday, June 19, space permitting, tickets will be available for purchase at the door. Tickets will be on sale online until Monday, July 10, 2017. After July 10, space permitting, tickets will be available for purchase at the door. This riveting and often deeply moving film portrait of the most famous and famously controversial artist of the second half of the 20th century is the first to explore the complete spectrum of Warhol’s astonishing artistic output, stretching across five decades from the late 1940s to his untimely death in 1987. 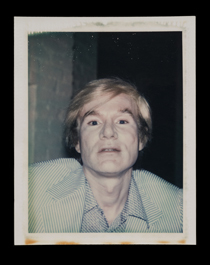 Combining powerful on-camera interviews and rare still and motion picture footage, it is also the first to put Warhol himself—his humble family background and formative experiences in Pittsburgh, and his crucial apprenticeship as a commercial artist in New York—back into the presentation of his life. Narrated by Laurie Anderson. Includes interviews with Irving Blum, Bob Colacello, Donna De Salvo, Vincent Fremont, Dave Hickey, Stephen Koch, Wayne Koestenbaum, Jeff Koons, Paul Morrissey, Billy Name, George Plimpton, Neil Printz, John Richardson, Ronald Tavel and John Warhola. A special two-part presentation for American Masters. Advance registration required; limited seating. Admission: Free for Bruce members, and free with admission to the Museum ($10/$8) for non-members.